The terrible trio...a match made in heaven! 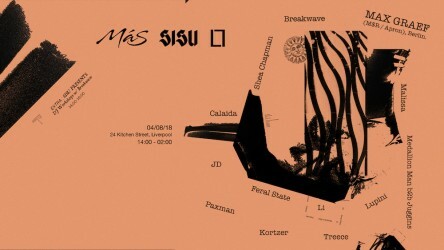 Locals Más combine forces for a 2-space all-dayer with all-female artistic community, SISU, and UK-spread lunatics, Loose Lips. 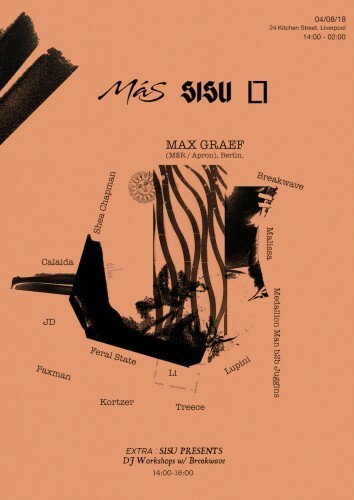 M$R founder Max Graef returns to Liverpool for a special show, supported by Meine Nacht's Breakwave and an array of raunchy resident DJs. From 1400-1600, there will be SISU-run DJ workshops in Kitchen Street's main space, with guest teacher Breakwave.